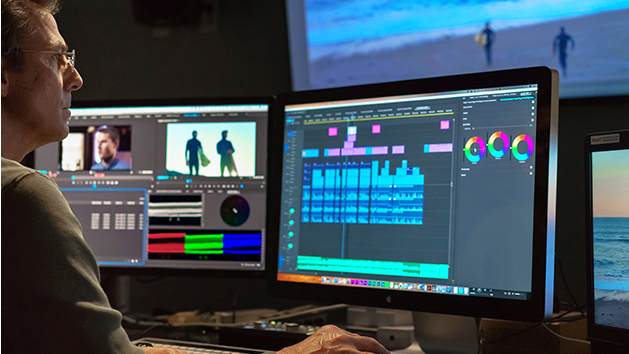 Work natively with 8K RAW files on the timeline without pre-caching or generating proxies. Work in real-time with your 3D applications and animations. 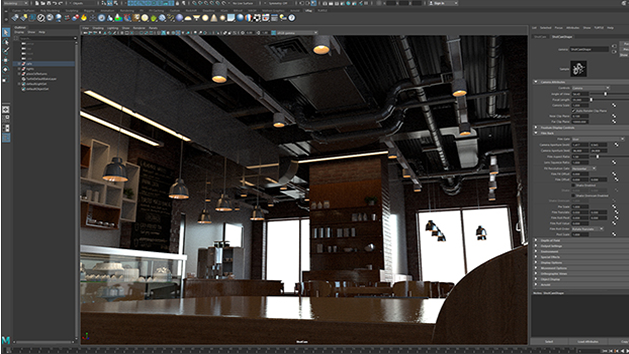 Accelerated ray tracing in renderers let you review your lifelike graphics as you create. Faster performance for traditional 3D rasterization means smoother, more fluid 3D animations and models in software such as Autodesk Maya, 3DS Max, and Unreal Engine. NVIDIA SDKs give you dozens of real-time tools to enhance your animations, from visual effects and physics simulations to advanced rendering techniques. Create stunning graphics in Adobe Photoshop much faster than with CPUs. Use Focus Mask to automatically separate in-focus areas of an image from the background. Make incredible images from video stills by taking advantage of fast, high-quality up-sampling. And add a sense of motion with GPU-accelerated effects like Path and Spin Blur. Enjoy a smooth, stutter-free experience, every time, in Adobe Lightroom. NVIDIA RTX accelerates image rendering in Photo Grid view, Square Grid view, and Filmstrip—even when you’re working on high-resolution 4K displays. NVIDIA RTX speeds up creation of 2D and 3D graphic designs. 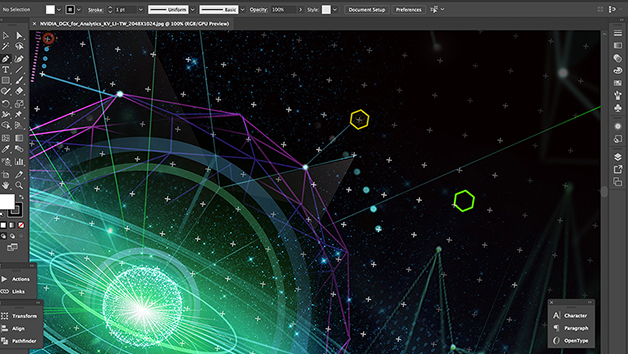 Smoothly pan and zoom in Adobe Illustrator regardless of file size or display resolution. 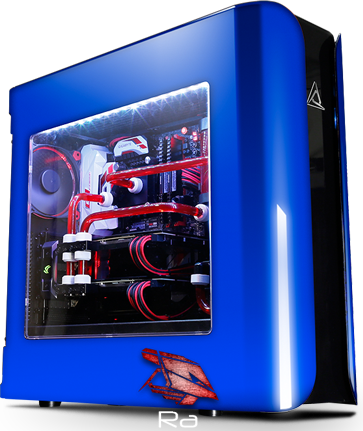 Bring ultimate 3D graphics performance to your designs without having to wait hours for your render to finish. 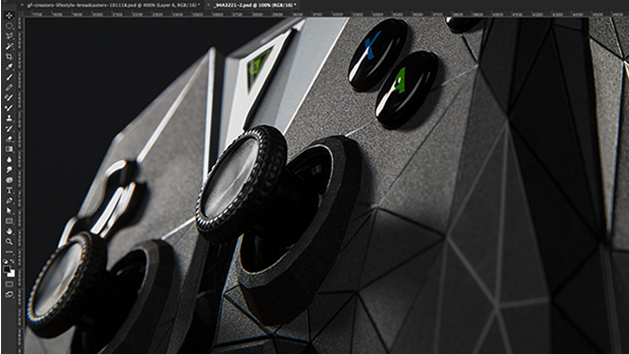 Take advantage of over 30 features accelerated by NVIDIA RTX in Adobe Photoshop. 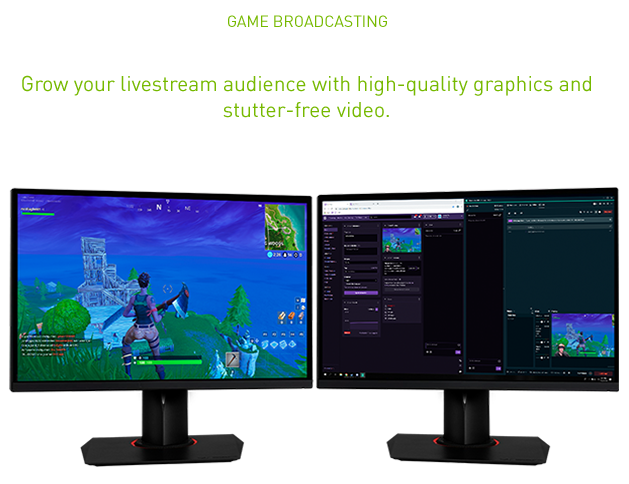 NVIDIA RTX lets you stream to Twitch and YouTube Live at the highest quality. 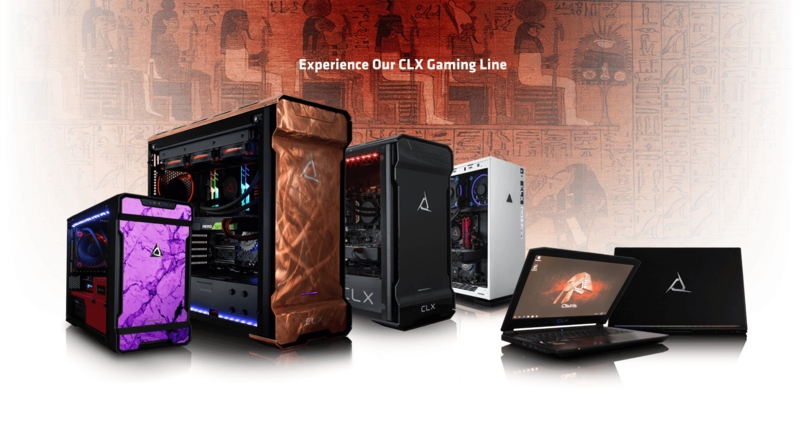 Experience higher FPS—with no stutters or dropped frames. Dedicated GPU-encoding hardware offloads the rest of your PC, keeping your game performance at its peak level. Produce compelling stream content with real-time ray tracing support in new games like Battlefield V.
Create the most beautiful and accurately lit renders faster than ever before with NVIDIA RTX and dedicated ray-tracing technology. Edit full-fidelity 8K RAW video without frame drops, pre-caching, or transcoding to low-res proxies. Take advantage of abundant graphics horsepower to create crystal-clear livestreams and accelerate time consuming image processing tasks. 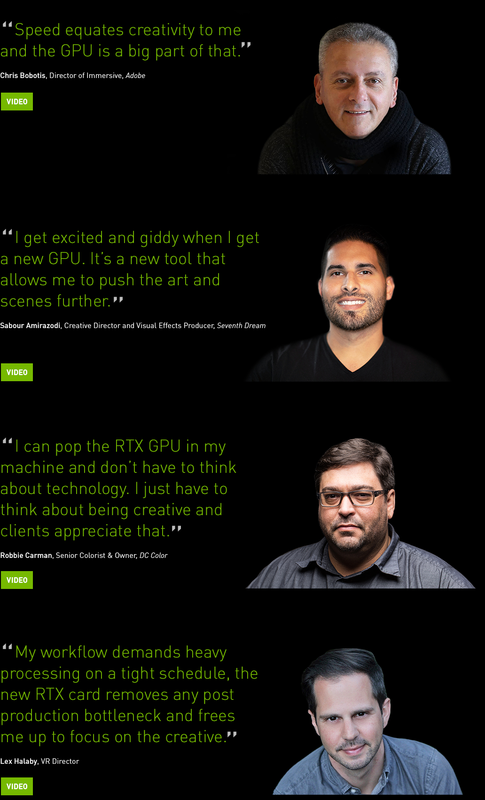 Experience fluid interactivity with large and complex 3D models and virtual reality experiences from the 50% performance improvement NVIDIA RTX delivers in raster performance over previous-generation GPUs. You’re an online freelancer, small studio, startup, YouTube creator, or creative hobbyist looking to build amazing content in record time.